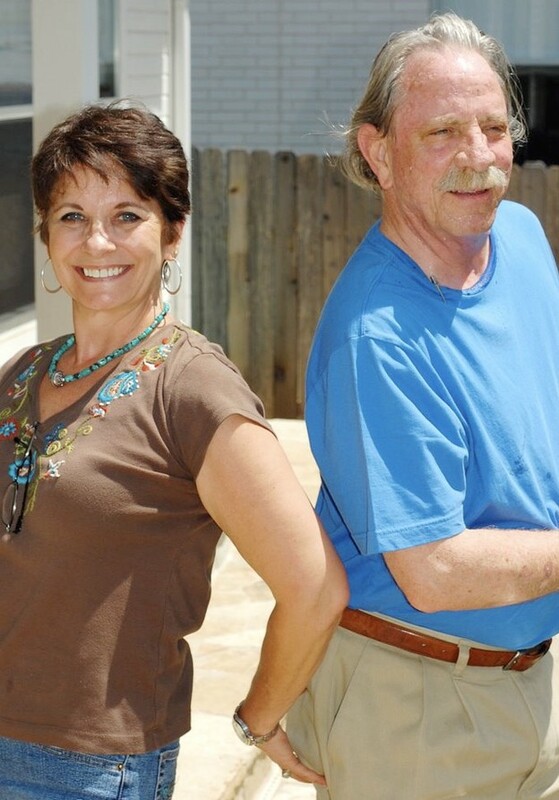 Chester Arthur Slimp III, born in San Antonio Texas on July 9, 1951, passed away on the morning of February 4, 2015 in his home, with his wife and son at his side. He is preceded in death by his father, Chester A. Slimp Jr., and his mother, Ellen Naylor. He is survived by his loving wife, Cynthia; his son, Chester IV; his sister, Ellen Sinclair; and his brother, Andrew Brownlow Slimp II. Chester graduated from MacArthur High School, San Antonio, Texas in 1969 and received a Bachelor of Architecture from the University of Texas at Austin in 1977. In his professional career, he worked for several firms--the City of San Antonio and most notably, Alamo Architects. He had a life-long passion for music and cars. As a drummer, he played for various San Antonio and Austin bands, most notably the Grim Reapers (dates active, 1960-1970). Known by his his bandmates and friends as the "Flam-Master", he is the self-proclaimed “King of the San Antonio Slop Rock Drumming Style”. Chester could sing with soul and was always the life of a party. His family would like to specially thank Alamo Architects for all of its support; Gladys Gonzalez and Dr. Laura Houston for their kindness and care; and Bob and Carolyn Thronson for their love and spiritual guidance during Chester’s illness. Graveside services will be held just south of San Antonio in Adkins, Texas, at Kicaster Cemetery (FM 3432 and CR 324), on February 15, 2015 at 3 p.m. His family requests that in lieu of flowers, please make a donation, in Chester’s memory, to the charity of your choice. To leave a message for the family, please visit www.vaughanfuneralhome.com. Arrangements entrusted to Vaughan’s Funeral Home of Boerne. I keep waiting to find the words to say to and about Chester, but they're hard-coming. Last night I looked up his first name and found that it's an English word meaning "A fortress or camp." Those words resonated with me when thinking about Ches. Safety, warmth, people helping people, people entertaining each other, out in nature under the stars, all lending an overall feeliing of affection, goodness and Godliness. I don't think he could have had a more perfect name. My heart is breaking from the loss of our man running the camp. There is no one like Chester and never will be. Unique, smart, funny, loving (he DID LOVE each of us Brahmas), a lover of music, full of kindness and mischief with split-second, often sardonic, humor, wit and wisdom. We met at Garner and he welcomed me as someone he could banter with when I bemoaned the fact that I'd been relegated to living in Texas. I was a thick-accented, smarty-pants from NY but my sarcasm and criticism of all-things-Texas just seemed to entertain and spur Ches to debate ... and, often ridicule. Exactly what I needed. I still can't believe Chester Arthur Slimp, III is gone. It will take a while and as the realization becomes clearer, I do know that a piece of my heart will never return. It's with him now. Goodnight Chester. You are loved and missed and as I told you, whatever waits out there for us, I know I'll be going to the same place as you and we wll laugh together again. From a talented drummer and musician to an experienced architect, Chester Arthur Slimp III is remembered by family, bandmates and colleagues as a man full of laughter and a loyal friend. Slimp died Feb. 4 surrounded by family at his home in San Antonio after a two-month battle with esophageal cancer. He was 63. When he was 13, his mother took him to Hermes music store to pick out an instrument, his son Chester Slimp IV said. He chose a set of Ludwig King drums. Glen Hobart, 66, and a close friend of Slimp’s since he was 10 years old, said that years ago, he and his friend, Jerry Arnold, saw The Beatles at the Texas Theatredowntown. Immediately afterward, he called Slimp to form a band. With six members, they formed the Grim Reaper, a ’60s garage rock band that performed in many cities and was part of San Antonio’s rock 'n’ roll scene. Although music was his first love, the 1969 MacArthur High School graduate also enjoyed illustrating by hand, his son said. 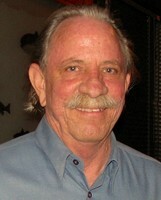 His skill led him to a bachelor’s degree in architecture from the University of Texas at Austin in 1977. He went on to work for firms, including Alamo Architects, and the City of San Antonio. “He was always an artist who could free-hand a straight line,” his son said. During his time with the city, his son said Slimp touched several projects, including the beautification of the San Antonio River Walk. In 1978, before his time as an architect, Slimp met his future wife. The two were invited to a barbecue through mutual friends. The two married in March 1982. I can't think of Chester without smiling. It seemed he was always making us laugh. He will be missed. My thoughts and prayers are with his family. What a guy and what a loss ... Chester was always such a warm and genuine person everyone wanted to be around because he always made you feel good and important. His spirit, humor, warmth, and presence will always be felt. My condolence to Cynthia and family at this time....I will miss you Chester, may you rest in peace. Clark S.
Although I didn't know him well, I can remember whenever he was in a room, you knew he was there because of the laughter he'd spread. Chester's unique, unforgettable humor and unending, mischievious smile will be greatly missed. I'm certain he'll be quite the entertainment in Heaven. Many blessings to his family and friends. Chester, I'm so glad I knew you, man. I first met Chester at Northwood in Mr. Cooper's class. I remember him always sitting at the table in the front of the classroom (no desk) because he had been clowning around. I think he enjoyed making a little mischief so everyone could have a good laugh. It's funny the snapshot memories we keep of others. I remember talking with him on my mother's yellow wall phone with the long cord in the kitchen when we went to Garner. He used to call just to chat. My father and his grandmother knew each other. I saw little of Chester at MacArthur probably because I was gone each day by noon to work for Dr. Pipes. My husband, Tommy and I sat with Chester and Cynthia at the 40th reunion and it was a delightful evening of catching up. We talked and emailed a few times after that. When my son died, he came to the funeral and I can't tell you how much that touched my heart. Blessings to you sweet Chester. Your kind heart and sweet smile will always be remembered. Chester, Chester, Chester,...you always managed to put a smile on my face by saying something funny. Then on other days, when things didn't seem to be going right, your kind words would brighten the day. I have waited far too long to post my thoughts about Chester. I have no reason other than I could not find the right words to say. Chester and I moved in different circles in school--I knew of him while we were students, but I didn't know him until after we graduated and reunions started coming around. He was always there at the planning meetings and of course attended all the reunions. He LOVED getting together with those he referred to as "Big Blue"--he was a true Brahma's Brahma. It was always interesting to listen to him talk about school, our classmates, and San Antonio--many times he had a very different and refreshing take on those topics. One of the things that I will miss most about him is that he was so ENTHUSIASTIC. From the time that we initiated the class website, he served as an administrator and kept seeking out and adding memorabilia and nostalgic items for our entertainment. He helped carry much of the load and for that I am truly grateful. It was he who secured the panoramic pics from Garner and Mac and had them enlarged and displayed at the last reunion--they were a such a huge hit. I had lunch with Chester on multiple occasions when I came to town for reunion planning meetings and at other times when I made it to SA. I always looked forward to our "guy time"--it was special. I was part of a trio that was blessed to spend time with Chester about a week before we lost him. I will never forget those moments. Several of us prayed for Chester's salvation near the end of his life. His spiritual mentor reported at his service that our prayers were answered just a few days before Chester passed away. Now I know that I will see my old friend again.